Open wide to reveal party details that will, er, "ribbit" anyone's attention. Frog Invitation plus matching Name Card and photo Thank You card. 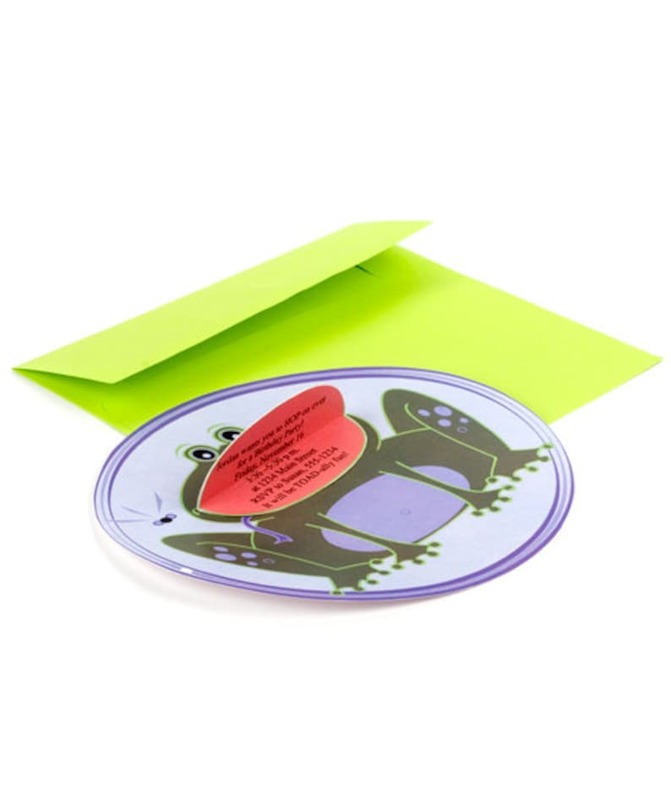 A printable PDF for making your own Frog Invitations and Thank You notes. This purchase includes a PDF to print your own invitations, a Word doc to customize the printing on your invite, full instructions, and bonus Good Manners Guide that teaches kids basic party etiquette (like how to write the perfect thank you note)! You need your own white cardstock to print and 6" square envelopes (if desired).